This spring Country Outfitter worked with Miranda Lambert to distribute her new shoe line. Throughout the spring we created various campaigns and giveaways to help promote her shoes. 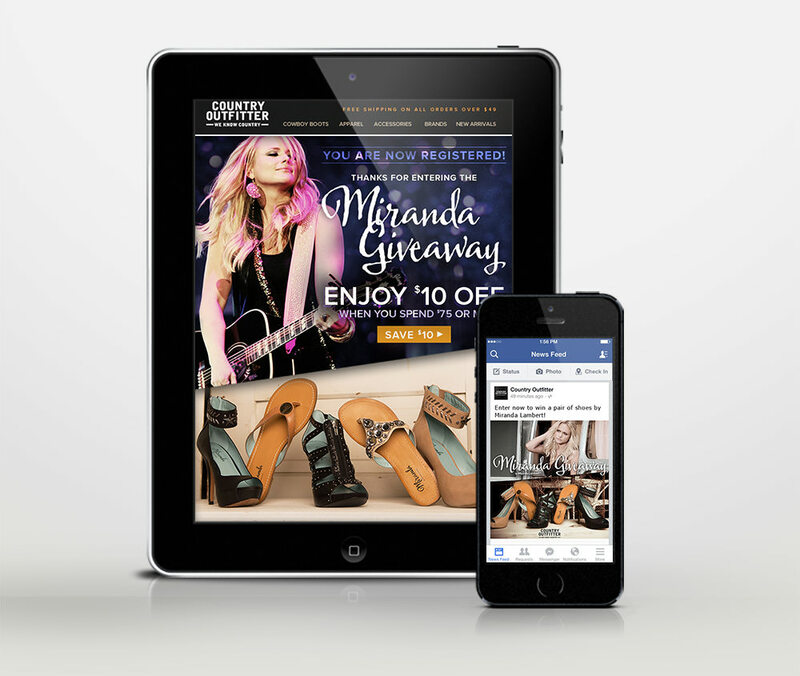 I created a landing page for Miranda’s shoe line on countryoutfitter.com. We also ran multiple giveaways that I designed emails, squeeze pages and social media graphics for. Here is a small sample of some of the graphics I made for these promotions.